The ruling said, “On 17th May, 2017 the Appellant, Detre Ford, was convicted of the offence of aggravated burglary contrary to Section 340[a] of the Criminal Code Act, 1907, and the offence of possession of a prohibited weapon contrary to Section 2 2[a][iv] of the Firearms Act, 1973. The court ruling said that on 1st July, 2016 Wakeem Philpott, the co-defendant and another man unlawfully entered the home at Barracks Close, St. Georges. “The other man had in his possession a dark-coloured block gun which he pointed at the Complainant as Philpott attempted to rob him,” the ruling said. “Apparently, the weapon jammed and both men fled the scene. Philpott was later seen getting into a black motor car which sped away. The driver of the car was identified as the Appellant who was charged with aggravated burglary and possession of a prohibited weapon. “Philpott was sentenced to a total of 10 years imprisonment and the judge had to consider the question of disparity bearing in mind Philpott’s plea of guilty and the fact that the Appellant’s role did not involve entering the property. 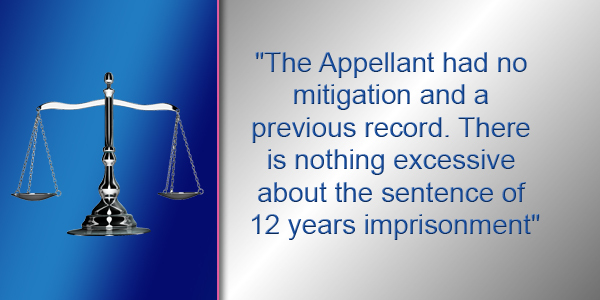 “The judge concluded that the Appellant was, however, a planner of the enterprise and there was no mitigation of a plea of guilty in his case. Furthermore, the Appellant was not of previous good character. “In particular he was sentenced to 5 years imprisonment in 2009 for burglary with a weapon and 18 months imprisonment consecutive for unlawfully causing bodily harm to a prison officer. Burglary of residential premises with a firearm is an offence that necessarily carries a very heavy sentence.